Azospirillum, is an associative nitrogen fixer and occur free-living in soil or in association with the roots of plants.Five species of Azospirillum are A. brasilense, A. lipoferum, A amazonense, A. halopraferens and A. irakense. These inoculants are recommended in non- leguminous crops like jowar, bajra, ragi and other millets( Italian millet, kodo millet, barn yard millet, small millet and oats). 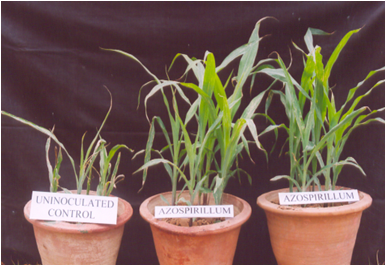 The yield increases due to Azospirillum inoculation recorded are 43% in wheat, 44% in finger millet and 60% in barley. 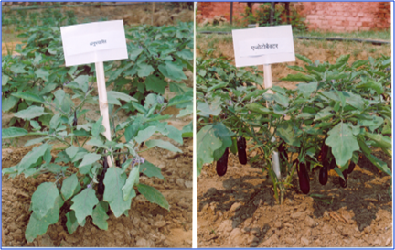 Positive effects of Azospirillum inoculation on growth and yield of several crop plants, mainly cereals is due to the plant growth promoting substances rather than the nitrogen fixing capacity. Increases in grain and fodder yields of millets due to its inoculation are almost equivalent to that attainable with 15-20 kg N /ha. Most of the phosphorus remains fixed in the soil and may not be available to plants. In acidic soils, P is precipitated as Al and Fe phosphates, whereas in calcareous soils, high concentration of Ca results in P precipitation. 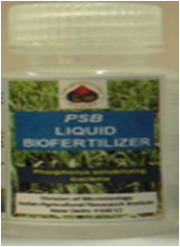 Phosphate solubilizing biofertilizer (PSB) product depicts a high population of bacteria which can solubilize insoluble phosphates. These are recommended for use in all crops. 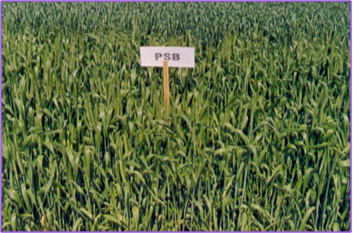 These have been tested in wheat, paddy, cowpea, soybean, lentil, gram and potato all over India under field conditions. 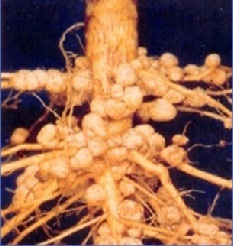 Rhizobium forms nitrogen fixings nodules and its inoculants help in establishing efficient symbiotic association with pulses, leguminous oil-seed and fodder crops, and thus , can fix 50 – 100 Kg N/ha. 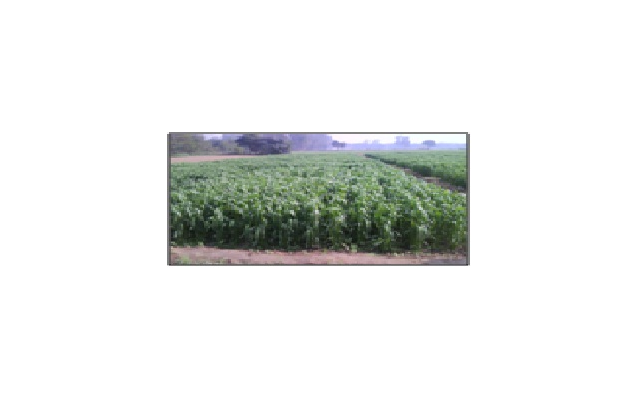 A well nodulated legume crop also leaves sizeable amount of nitrogen in soil which can meet a part of N-requirement of the succeeding crop in rotation. 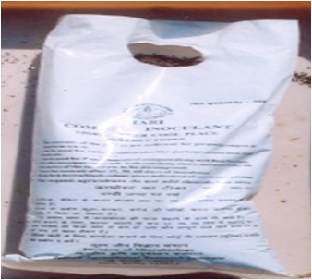 Rhizobium is specific to each legume, therefore, only recommended inoculants should be used for gram, lentil, pea, soybean, groundnut, arhar, moong, urad, cowpea, bersem, lucerne, dhaincha and sunhemp. Cereals intercropped with a legume derive benefit in terms of increased grain and nitrogen yield per unit area compared with those cultivated as the sole crop. Responsible for solubilization of insoluble phosphates. Produce siderophores, hence, antagonism against phytopathogens, thus reduce crop damage and improve plant population and yield. In general, 10-35 % increase in grain yields over uninoculated control have been recorded due to inoculation with Azotobacter. Secrete phytohormones (IAA and GA like substances) which help in better seed germination and root proliferation thus, improve nutrient availability for plants. A compost inoculant has been developed consisting of four lignocellulolytic fungi namely Aspergillus awamori F-18, Trichoderma viride ITCC 2211, Aspergillus nidulans ITCC 2011 and Phanerochaete chrysosporium NCIM 1073. This inoculant is efficient for both aerobic and anaerobic decomposition of agroresidues and is suitable for degradation of cellulose, hemi-cellulose and lignin. This decomposes agro-wastes within 6-8 weeks in comparison to uninoculated waste which takes more than 12 weeks. 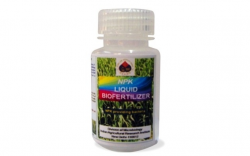 Developed Arbuscular Mycorrhizal inoculum for all crops specially horticultural crops and nursery grown vegetables and commercialized under the trade name ‘Nutrilink’. It mobilize phosphorus and trace elements like zinc, iron, copper, cobalt, magnesium, molybdenum. 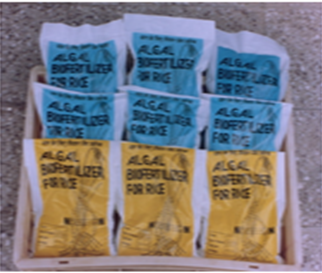 Also reduces salt stress, checks soil erosion, degradation and reduces losses caused by nematodes. Increases grain yield by 15-50 %.